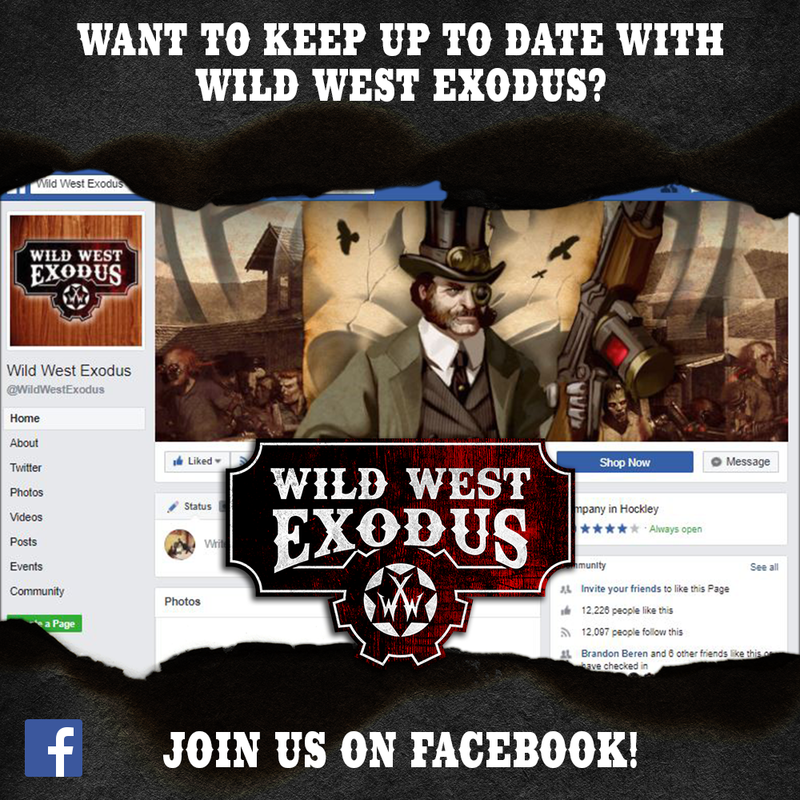 This month brings with it an assortment of legendary miniatures and a brand-new posse! 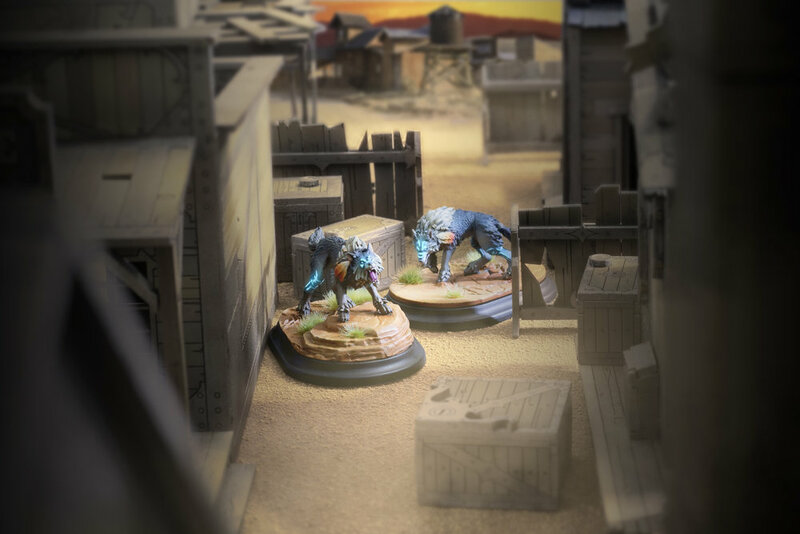 Hour of the Wolf is set the second Warrior Nation Posse Set for the Second Edition of Wild West Exodus - and includes everyone’s favourite chieftain; Ghost Wolf. A familiar face, Ghost Wolf is an old hat at this. As an INSPIRATIONAL boss those close to him in combat will reap the rewards, any friendly unit within 6” may re-roll a single dice in their Activation. With a Mind attribute of 7, it’s hardly surprising to see him with the TACTICAL BRILLIANCE rule, not only giving a +1 to Reserve Checks but also allowing the option of spending two Action Points to take a look at some Action and Adventure too. You can find Ghost Wolf’s full unit card here under: BOSSES. Unsurprisingly, Hawkeye lives up to her name with an Aim attribute of 7 and this, alongside the GUN DOWN special rule which means she doesn’t suffer the -4 penalty others do when aiming at an Engaged enemy, makes her a particularly deadly Face to have on the tabletop. Your enemy won’t want to risk getting too close with Hawkeye on the opposing side. You can find Hawkeye’s full unit card here under: FACES. Moonswift is a CHILD OF THE GREAT SPIRIT and can ignore Yeller Checks and the penalty for Uneven Ground - all the better to get into close combat with her enemies. This, along with BOUNDING STRIKE, means she can get up close and personal to deliver a wounding blow...to then move 3 away from her current position. However, what makes her particularly special is her DANCES WITH WOLVES special rule which benefits Hunting Wolves in your posse. You can find Moonswift’s full unit card here under: FACES. At a cost of 85 points per model, the Weylyn Spirit Walkers are a great extra Support unit for Warrior Nation posses. With both RAPID and FRENZY as special rules, these Beasts are fast and furious! A Quickness of 7, and the ability to Focus Move Actions for no additional cost, will have them in the thick of the action in no time. You can find the Weylyn Spirit Walkers’ full unit card here under: SUPPORT. You can find the Hunting Wolves’ full unit card here under: SUPPORT. As we have already mentioned, the key to playing this Posse successfully is speed. With very little in the way of ranged attacks, except for Hawkeye and her lethal Manhunter Bow, these Units need to get into combat as soon as possible. Clever deployment and use of Totems will also help this Posse get into the thick of it. The Hunting Wolves have TRAILFINDER, allowing them a free move at the start of the game, which will also help to get the closer to the enemy. The close combat power of the Posse is very strong. Ghost Wolf and the Weylyn Spirit Walkers can Attune their Spirit Blades giving them very high PRC scores. The Hunting Wolves can use their pack tactics to work together and take down their targets effectively. Moonswift may not be as lethal as Ghost Wolf but she can leap around between opponents and make light work of units of Hands. Hour of the Wolf is up for pre-order now and is released 23rd February 2019 so, if you want to get humanity’s greatest hope on the tabletop, order your posse from our online store or your FLGS today. Until the release date, you can take a look at the other sets and miniatures currently released for Warrior Nation!